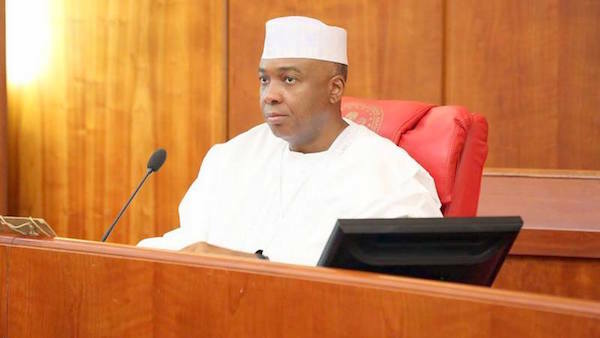 Saraki said Nigerian laws make clear provisions for taking such actions and without the due process being followed, such declaration cannot have effect. “I am sure the President will do the needful by initiating the right process,” he added. Light against darkness of Buhari and his parasitic Hausa/Fulani invaders. Good against evil of Buhari and his Hausa/Fulani terrorists. Truth against lies from Buhari and his parasitic Hausa/Fulani murderers. Love against hate from Buhari and his Hausa/Fulani killers. Democracy against Dictatorship of Buhari and his Hausa/Fulani invaders. How did Buhari what allegedly looted Petroleum Trust Fund become President? Saddam Hussein, the former President of Iraq was tried, convicted and executed by hanging for murdering 122 Iraqi citizens in the Dujail Province of Iraq. Buhari has so far, massacred more than 122 Nigerian citizens and therefore, should face similar fate like Saddam Hussein. What's your thought on that? Isn’t that justice? Terrorist and evil, Buhari should not be allowed to enter the United States or when he enters, he should be arrested and sent to ICC in The Hague to face charges of mass murder of Nigerian citizens in Zaria and SE. Easier said than done… we look up to the investigation that will determine the level of truth in your statement. Thank you for your remarks, your words are most welcomed at this point in time. I may be wrong here, but it seems to me that the senate president is providing the kind of leadership that should be coming from the seat of the presidency. This is the kind of thing I know Osinbajo would have said in a speech or something. I think it is sad that yet again, we have elected a president who refuses to lead the whole country but insists on resolving issues with a high-handed, holier than thou and better than thou attitude. Sad! ..are you now following a yoruba man, kanu said if u do…you r an idiot!